If your employees are multitasking, juggling between multiple projects and clients, the workload is constantly growing — probably you’ve got to the point where your company needs to have an external expertise and an extra workforce. Using freelance professionals is a great way to get things done much faster and mostly cheaper, than hiring new people for every new project. This strategy tends to be cheaper, requires less paperwork and onboarding time. There are great platforms out there that can help you find the outsource team-members needed to boost your company performance hassle-free. Following is a rundown on how to successfully land the perfect freelancer for your project. We’ve created this tutorial to help you organize and structure your searching process in the smartest way possible, to do it seamlessly and effectively. Let’s break it down into a few steps. Before you start looking at freelancers portfolios and profiles, make a homework and prepare yourself, and your project brief. This will help you to understand who is the ideal candidate you should be really looking for, and save plenty of time at the “turn-to” stage. 1) Plan for what is really needed. No project should get underway without a well-formulated plan. And hiring a right freelancer is a project of its own. Freelancers are mostly not psychics. They cannot read your mind and suddenly get your idea after a couple of emails. The best products and services are built following a period of qualification, strategic planning, and definition of a product’s functions. Otherwise, you are just wasting your time and money, as well as such of the freelancer. What is the budget? You need to be clear and honest on this upfront before letting yourself get too enamored with the options you can not afford, yet being able to filter through the scam. What’s the desired timeline? (And the actual deadline) Are there any time constraints? This will help as you look through the portfolios where the designers will explain how long the process took for similar projects. How do you prefer to communicate with business partners? 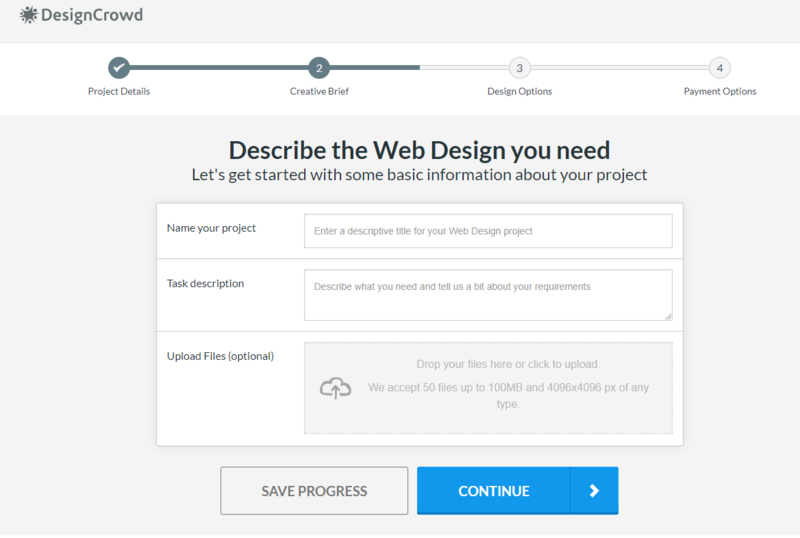 Do you need deliverables in specific file formats? What is a maximum budget you can put aside for this project? Since the main reason to hire a freelancer is to save your resources and optimize the process, we would recommend not spending your time and energy on searching the standalone profiles in the web, on job-boards or through recommendations, but rather considering using one of the specifically created and trusted freelance searching platforms. It’s much less time-consuming, all the profiles and important data are structured and most of the pre work is done for you, meaning the profiles and portfolios are being checked and approved, so it leaves minimum to none place for a scam. Fiverr, Freelancer.com, Upwork or Truelancer are all great portals for sourcing for the general freelancers online. Take your pick of web and mobile developers, designers, customer service agents, consultants, and more – based on ratings that have been given to them based on their past projects. 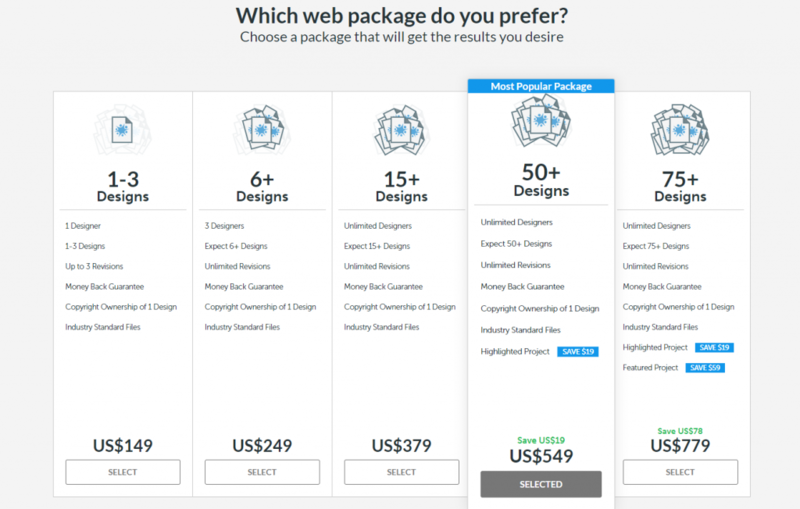 There are also some platforms, which fit best for the specific spheres, like DesignCrowd or 99designs for the visual arts professionals, or Outsourcely, Toptal, Peopleperhour — for the Web Development projects. While you might feel you are the only one making a choice here, successful freelancers also have their pick with clients! So what are freelancers looking for? What’s in it for them? Are you working on an exciting project that delivers any social impact? Will you provide them with a written testimonial after the job is done? 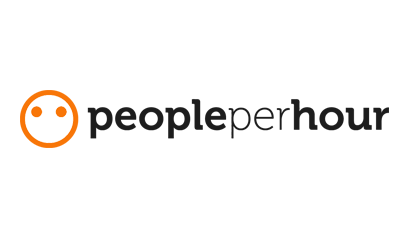 Will it work well for their portfolio and reputation? Is the compensation competitive? 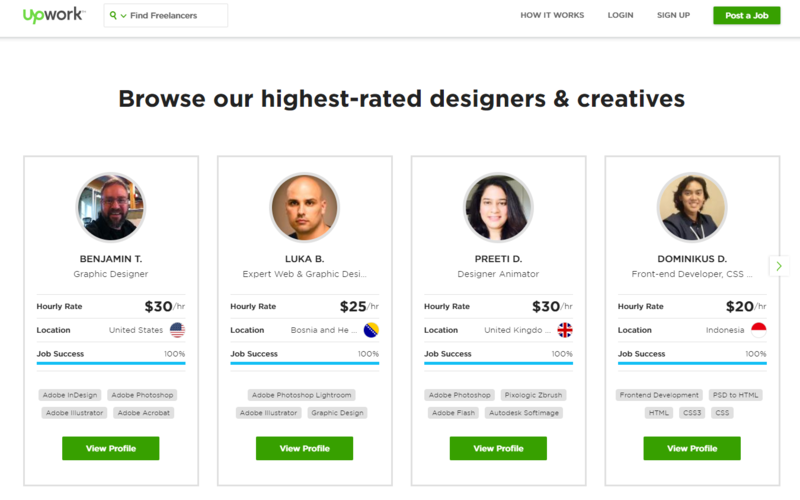 Make your project attractive to freelancers! A great job post helps attract great freelancers; it shows you’re serious and thoughtful about what your project needs, which is something in-demand freelancers look for. It also gives freelancers a better understanding of what you’re looking for, so they can provide a more detailed and competitive proposal. You might even consider including a quick screening question or request in the job post itself, as an initial filter: freelancers who don’t respond as part of their proposal won’t make it to the shortlist. Shortlist the bids that fall within the acceptable range and check out the online profiles of the bidders. 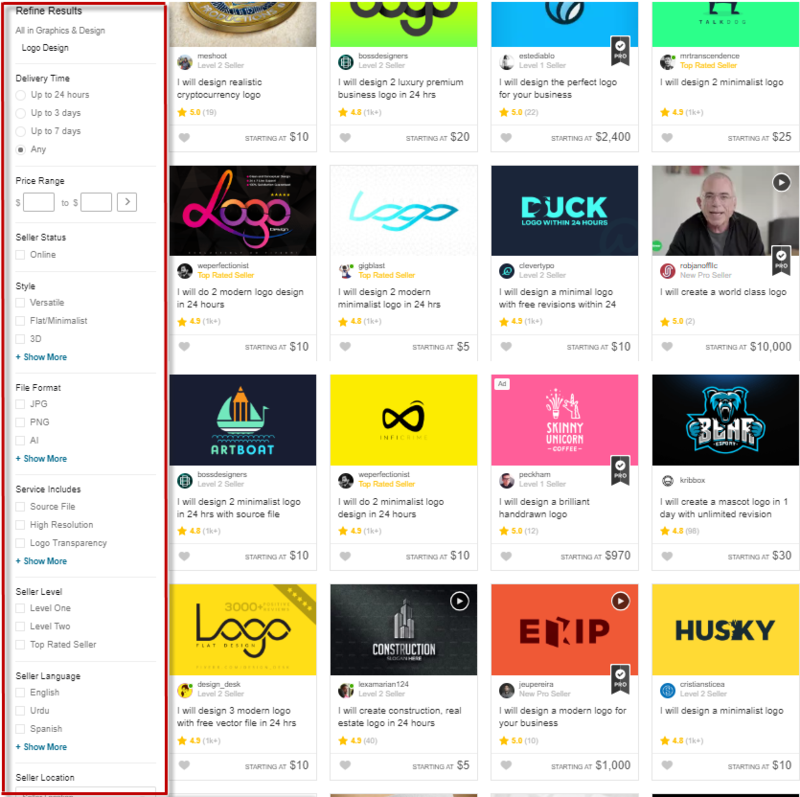 Thanks to an effective rating system at Fiverr, for example, buyers can sift through the wide range of options according to relevant parameters, such as seller reviews, rate, delivery time, revisions and so forth. You can even filter only the “online now” profiles to start the communication without further ado. Select the parameters fitting just your needs and get the most relevant options right away. 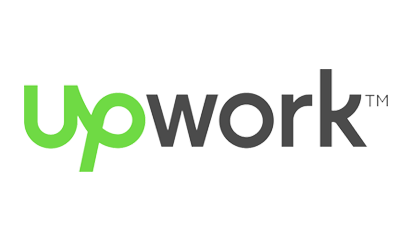 At Upwork, on the other hand, there’s no option to set the parameters and thus filter the profiles upfront, making you browsing through all of the freelancers profiles to see the potential fit, or just waiting for them to bid for your task. So it’s less handy. Which specific skills they used, and any other information that might highlight their expertise or capabilities. Remember: Some skills are easier to convey through portfolios than others. Graphic design and writing samples can be relatively straightforward, while work done on a mobile app is harder to capture. 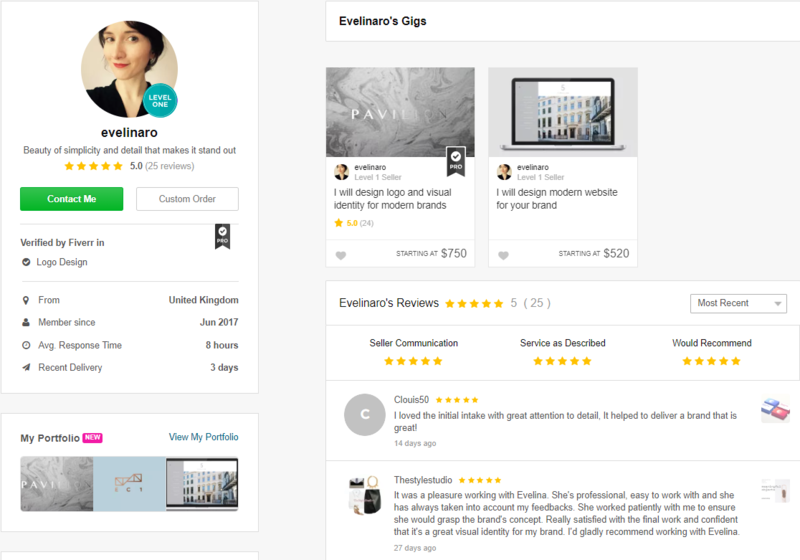 Fiverr is a good example of a pat profile display, showing right away the most important freelancer’s features: rating & reviews, personal data, skills, languages in command, education and diplomas, self-description, contact options as well as the portfolio and work-history. The layout is somewhat similar to the Facebook or LinkedIn profile, so it’s very clear and user-friendly. 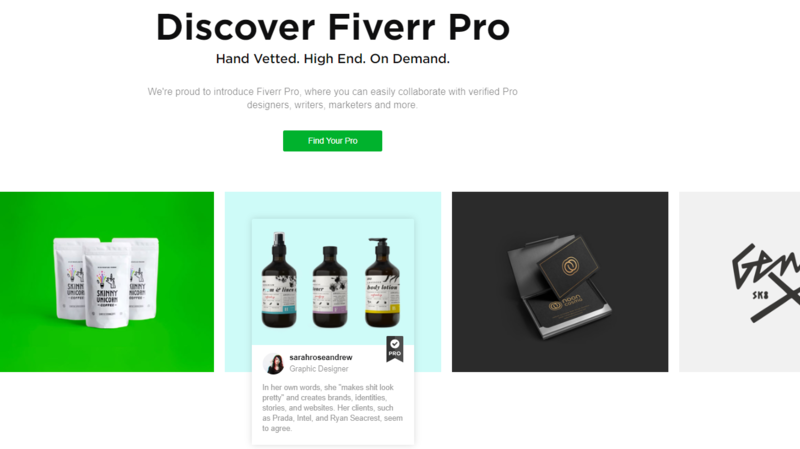 In addition to the regular service, not a long time ago, Fiverr has presented its new advanced edition: Fiverr Pro. 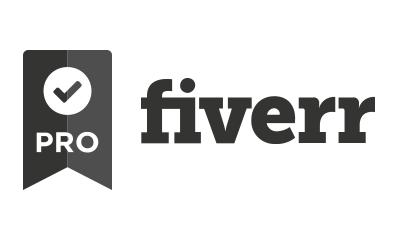 Fiverr Pro is the supercharged version of Fiverr. Among the many things that can be completed with the Pro version include reputable collaborations and safe transactions, red carpet treatment with a VIP experience, high quality professional workmanship, and the most efficient ordering system to date. So it allows you to make an even more advanced selection from the best of the best. Once you have shortlisted the candidates, test your top choice to ensure that your freelancers really are who they claim to be. The ideal test would be as close as possible to the demands of your actual project so that you could see if a candidate really fits your needs. Consider paying the freelancer for the test task, in order to simulate a real working environment and ensure the freelancer puts in his best effort into the test. Assess whether or not the freelancer has been able to produce a sample piece that meets your criteria. This test portion should allow to more realistically and accurately evaluate the suitability of the applicant, not just in terms of the deliverable, but also in terms of communication, ability to meet deadlines, and overall work ethic. Once you have selected your freelancer, ensure that you align expectations with your freelancers IN WRITTEN & with proper documentation. How intellectual property created by the freelancer is assigned to your company. Even though freelancers are temporary resources for your project, it is still recommended that you provide a well-structured onboarding process for him/her. This will help connect freelancers with your company’s culture and enable them to approach their work from an employee’s perspective. Gather project documents. Help freelancers get up-to-speed faster and understand expectations by providing project documentation that shows the scope, research, and other relevant information. Prepare the technology. Make a checklist of any systems, applications, and programs they may need to access, such as VPN or a company file sharing system. You may want to give the freelancer a list of programs and applications in advance so they can make time to familiarise in advance. Explain the brand. Provide a brand document/brand guidelines and explain the company’s core values, mission, and expectations towards freelancers. Give information in chunks. Freelancers often digest a deluge of the project, company, and industry information in a very short time. To prevent overwhelming them and opening the door to possible errors, provide them with information in chunks. Encourage questions. Freelancers should feel able to reach out when needed, or projects may veer off-course. Creating a culture where asking questions and sound boarding are encouraged can save potential confusion and time spent correcting errors. Following those steps will hopefully help you to get through the process hassle-free and end up with hiring the best fit for your project. 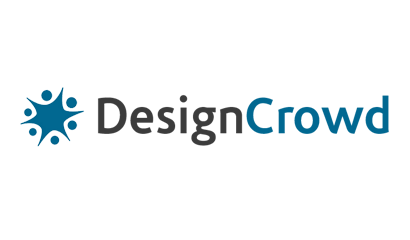 Check our comparison table and more detailed reviews for top freelance marketplaces.